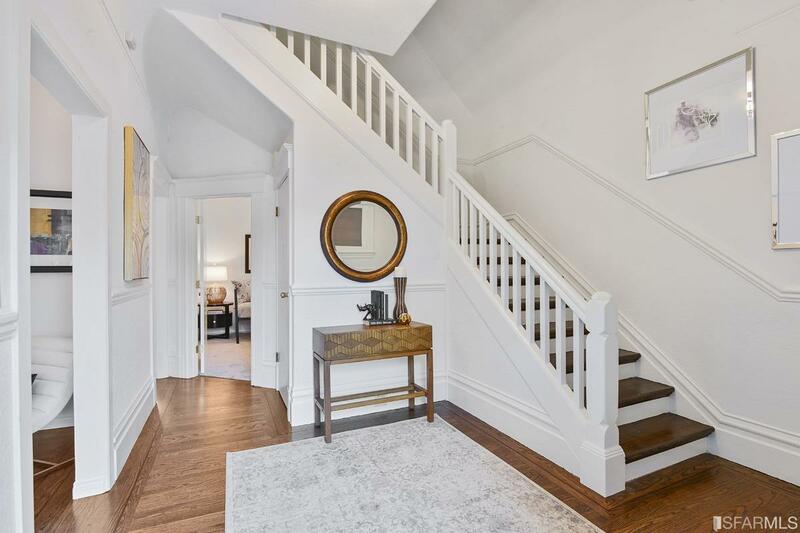 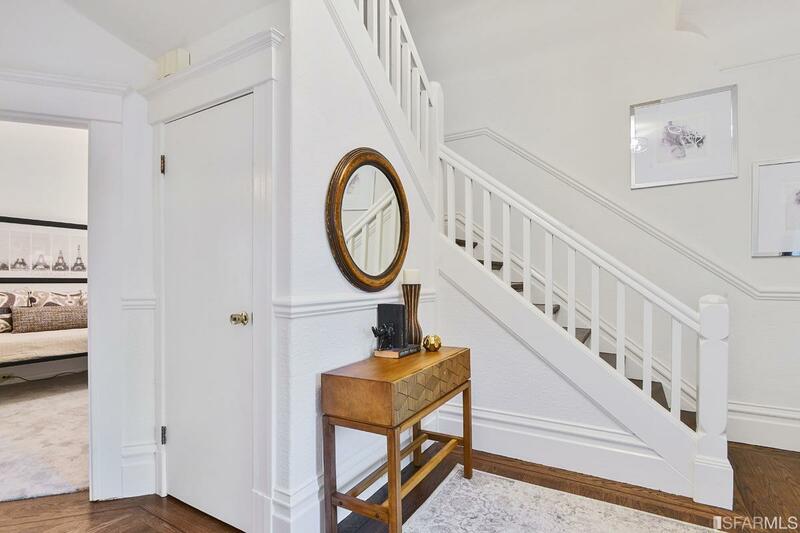 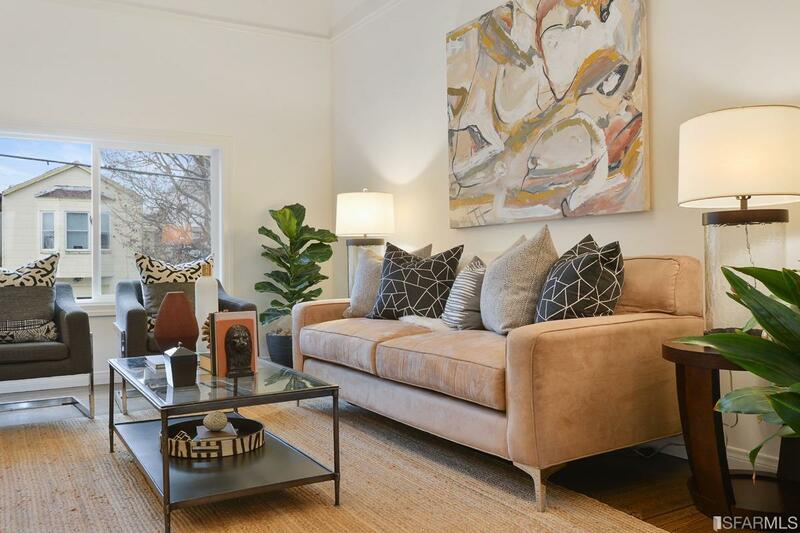 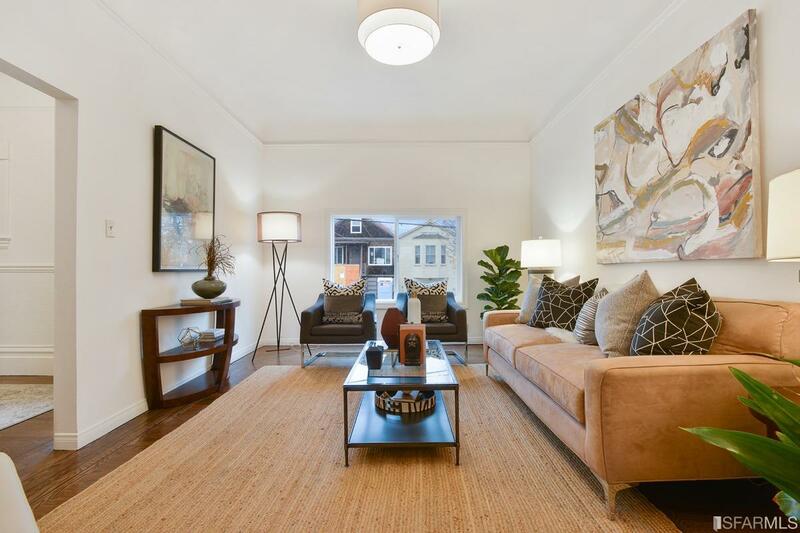 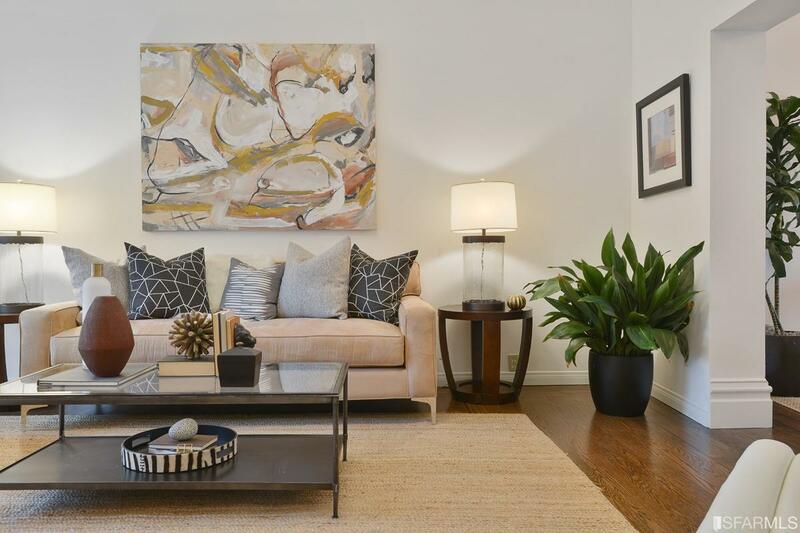 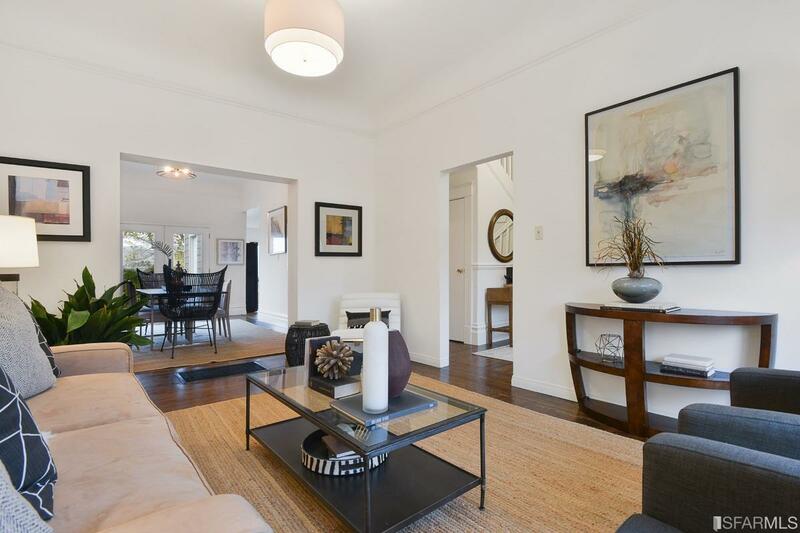 Move-in ready Bernal Edwardian, cherished by the current owner's family for well over half a century. 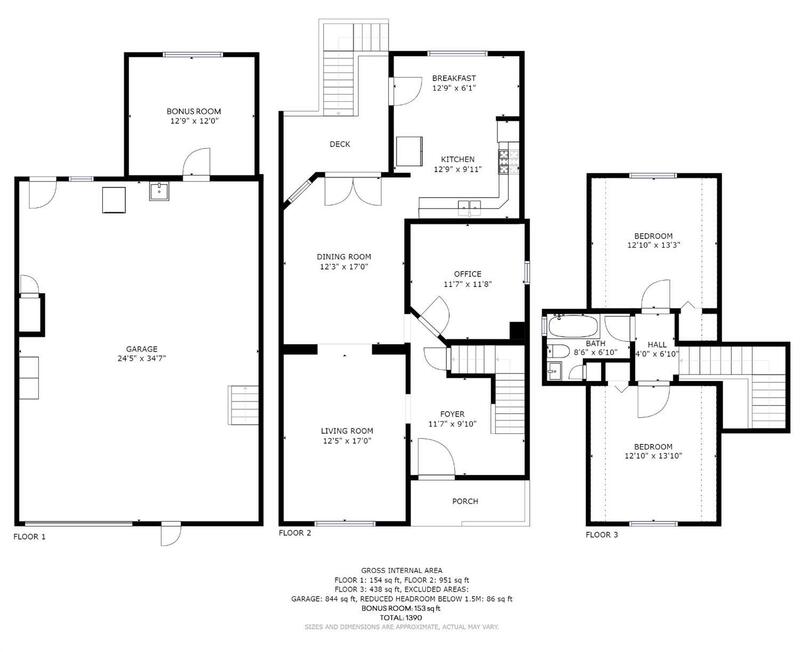 Main level features a double parlor, with a large living room and formal dining room with beautiful French doors leading to a small south-facing deck. 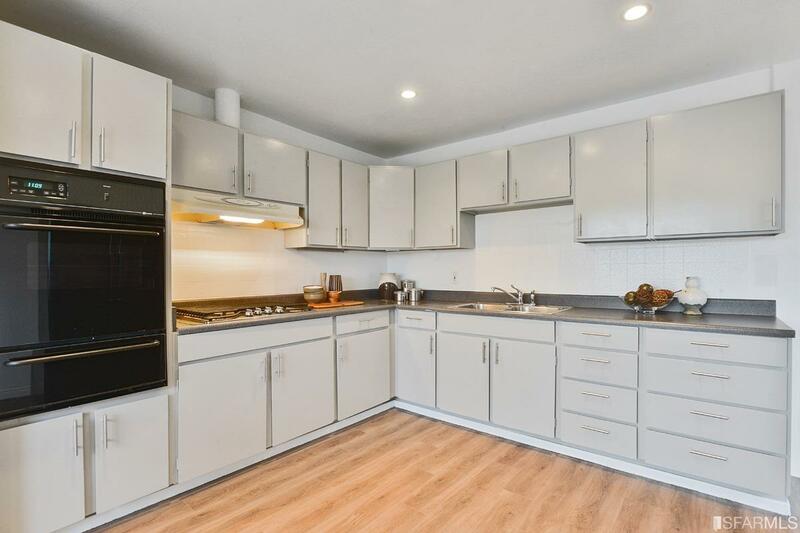 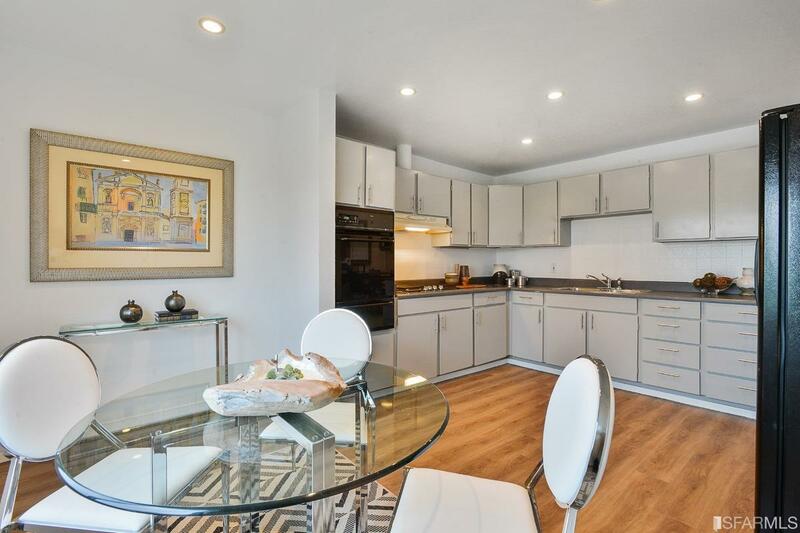 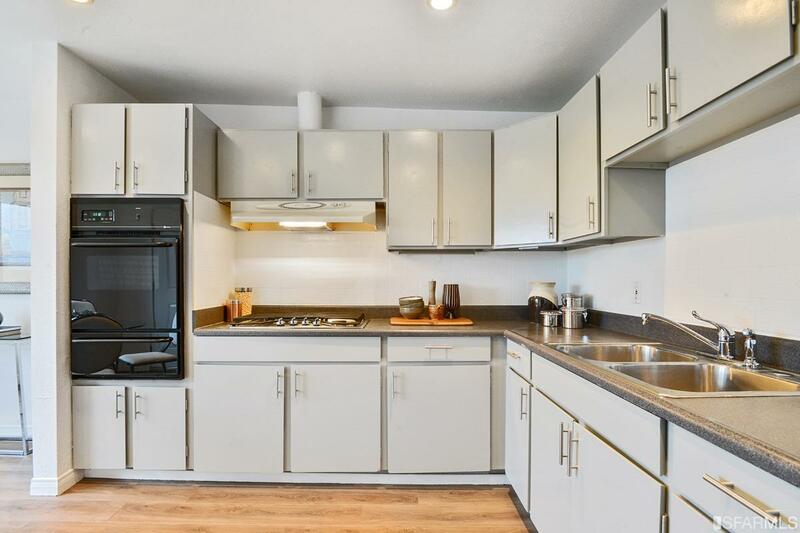 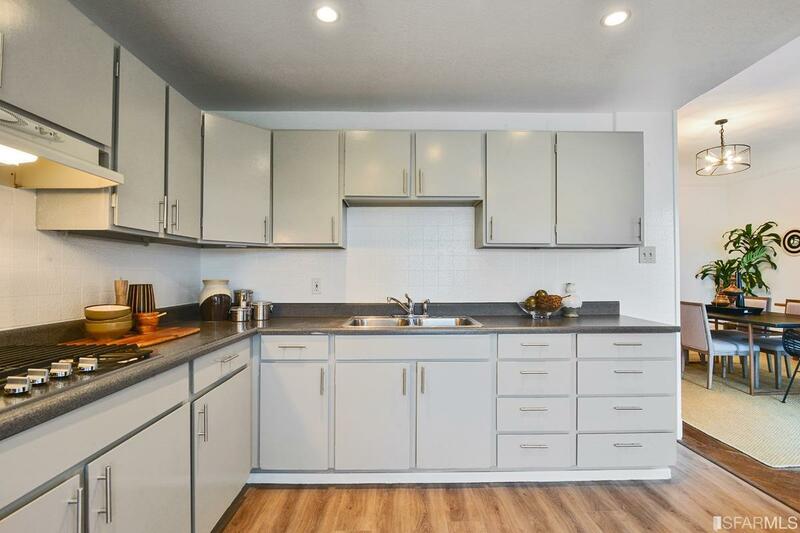 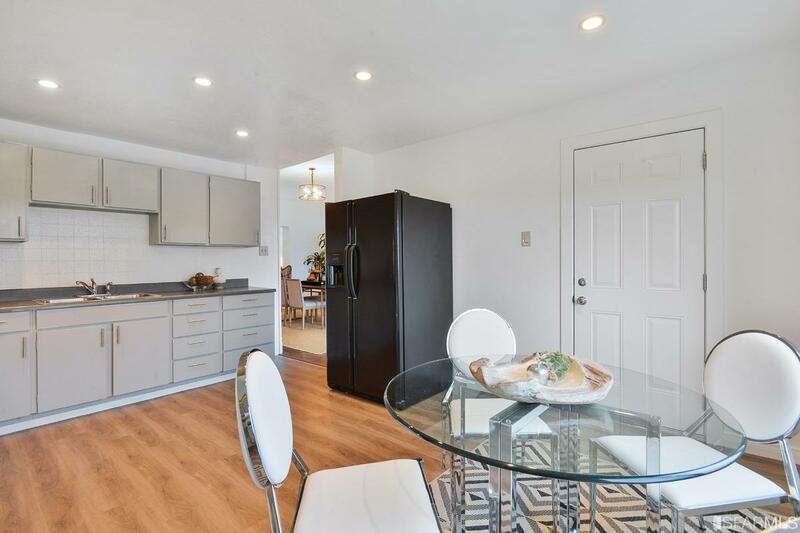 Adjacent to the dining room is a light-filled eat-in kitchen with new flooring and newly painted cabinets. 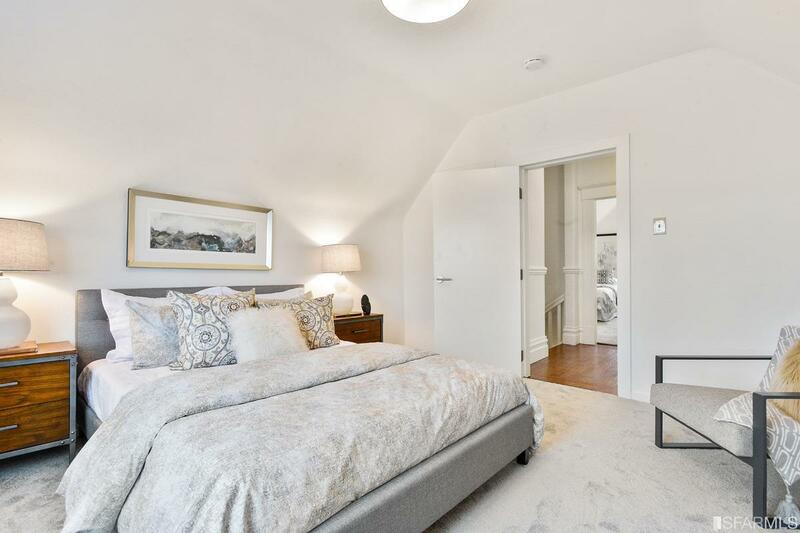 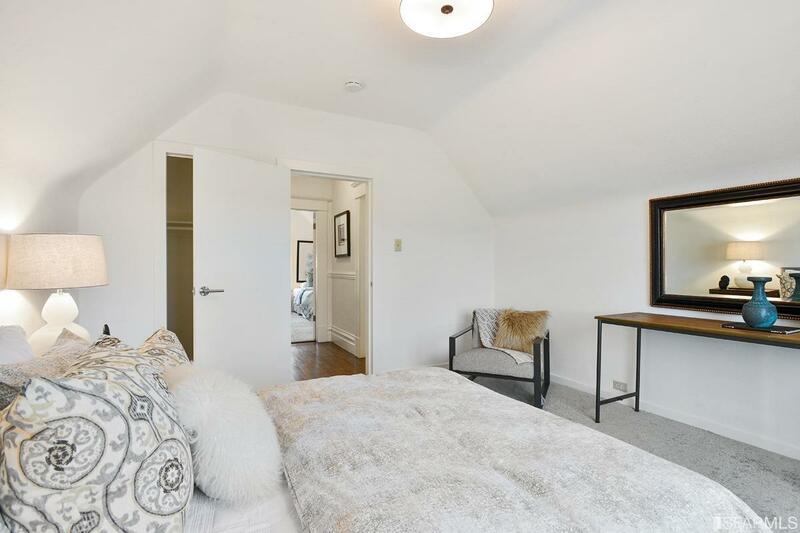 A bonus on this level is a den which was used previously as a third bedroom. 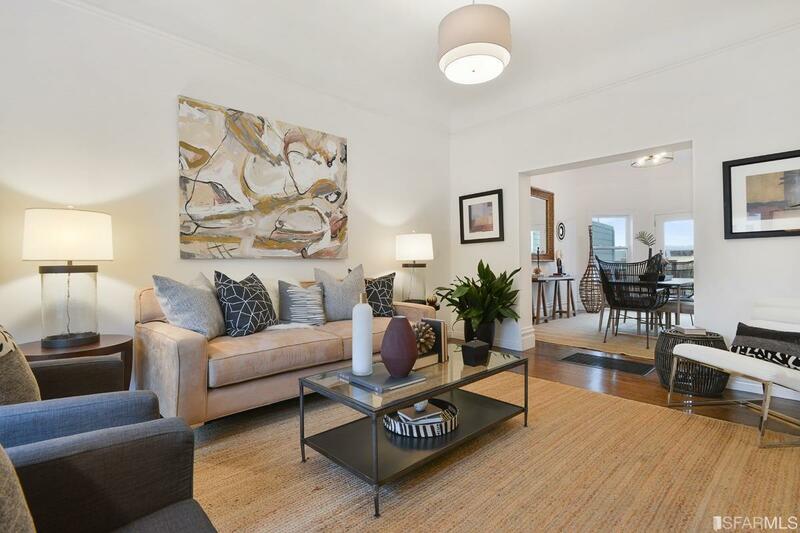 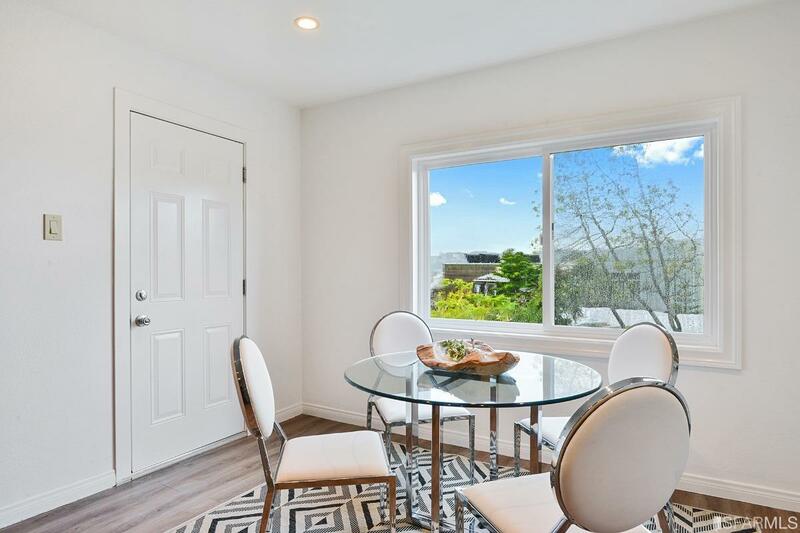 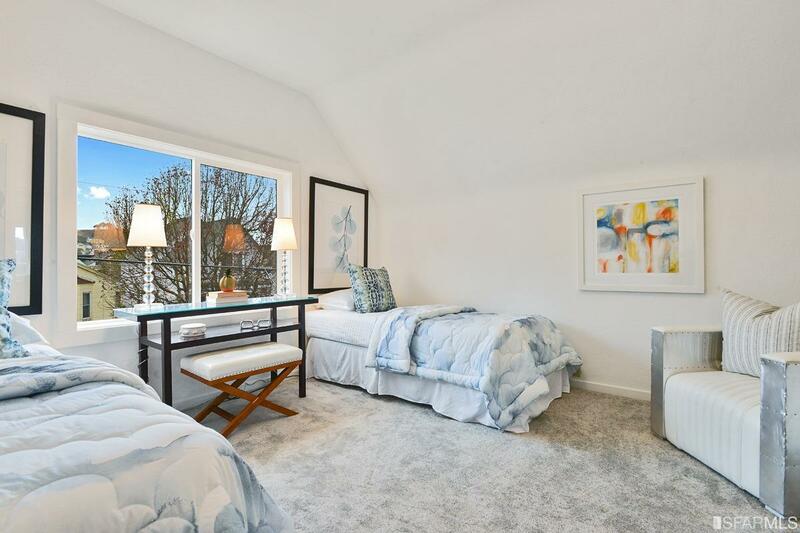 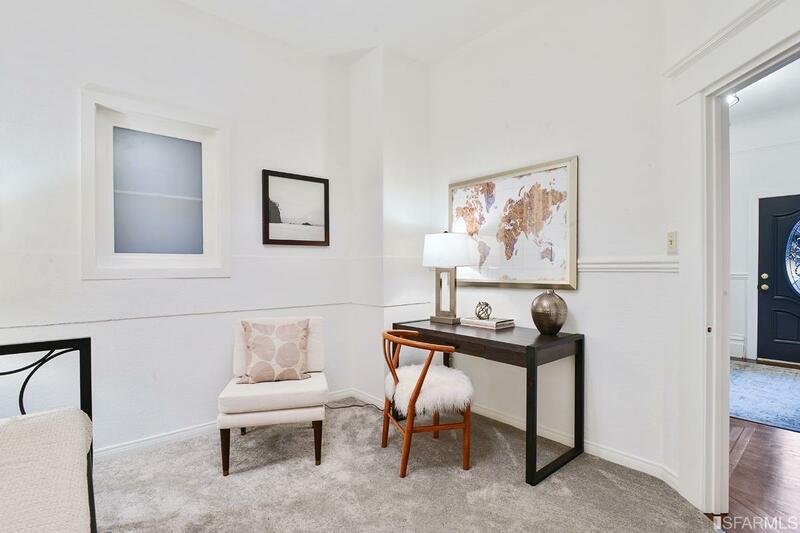 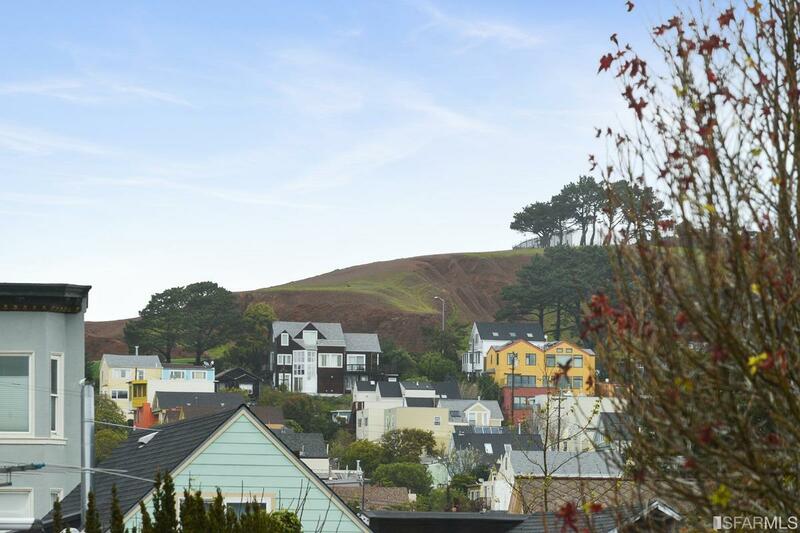 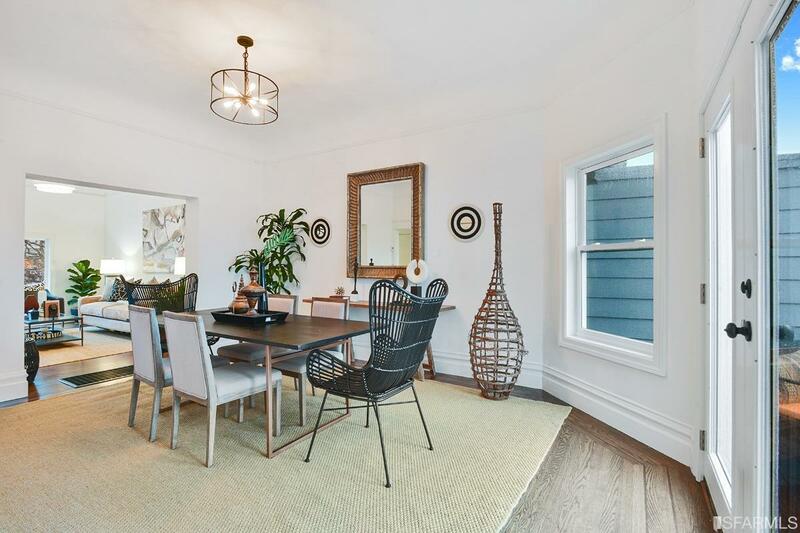 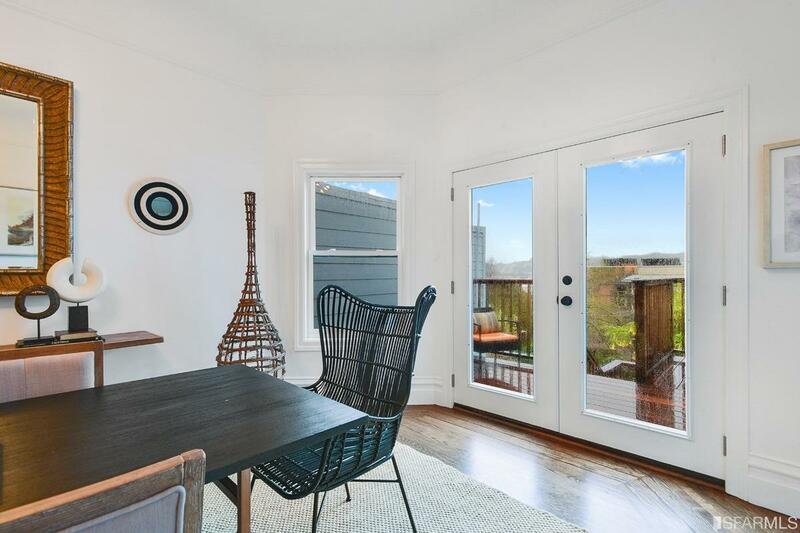 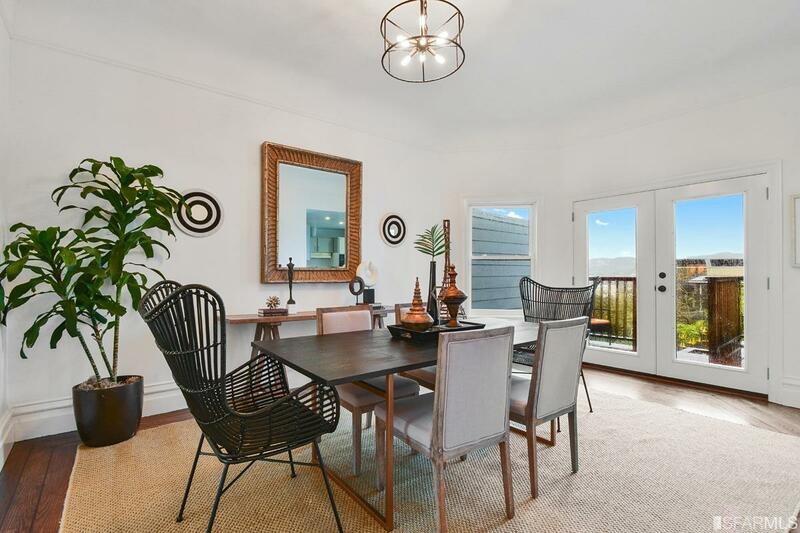 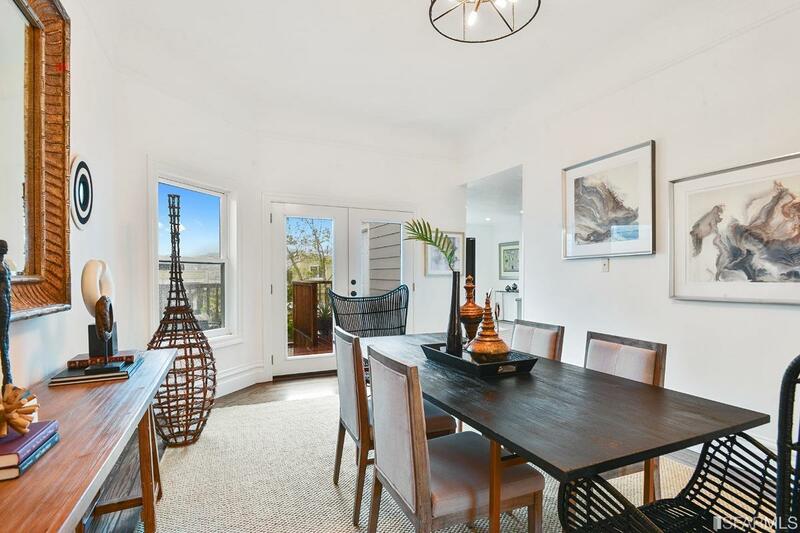 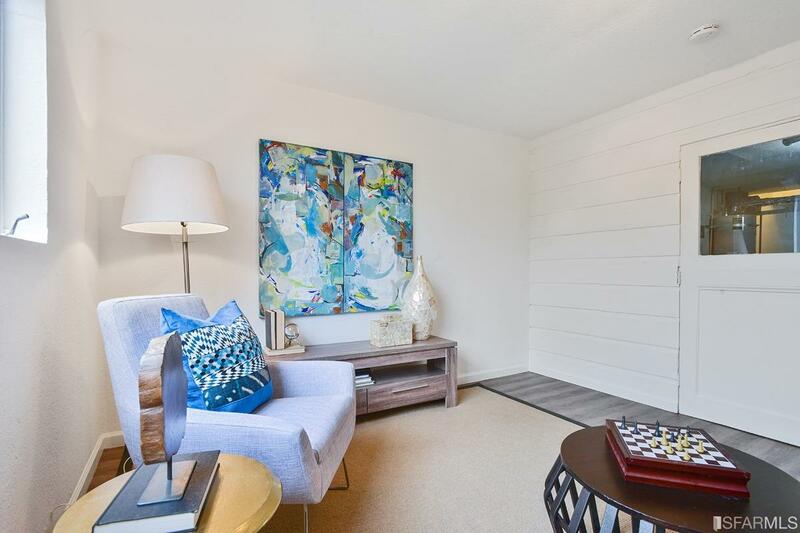 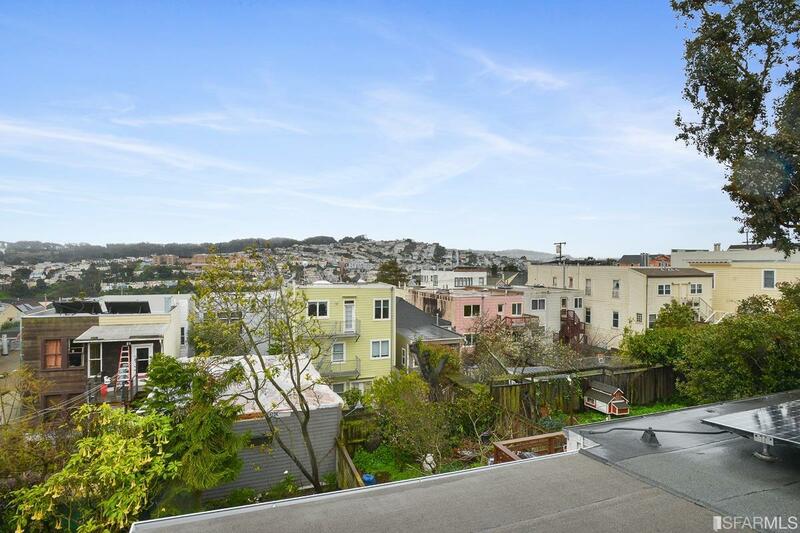 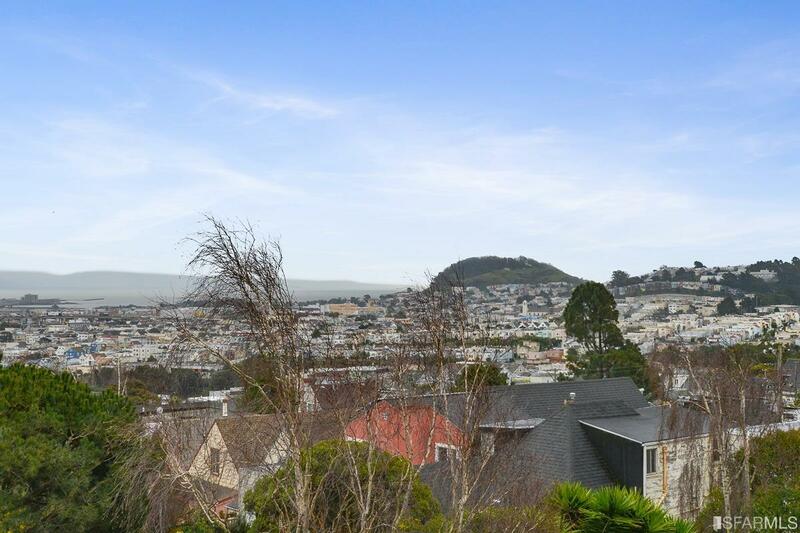 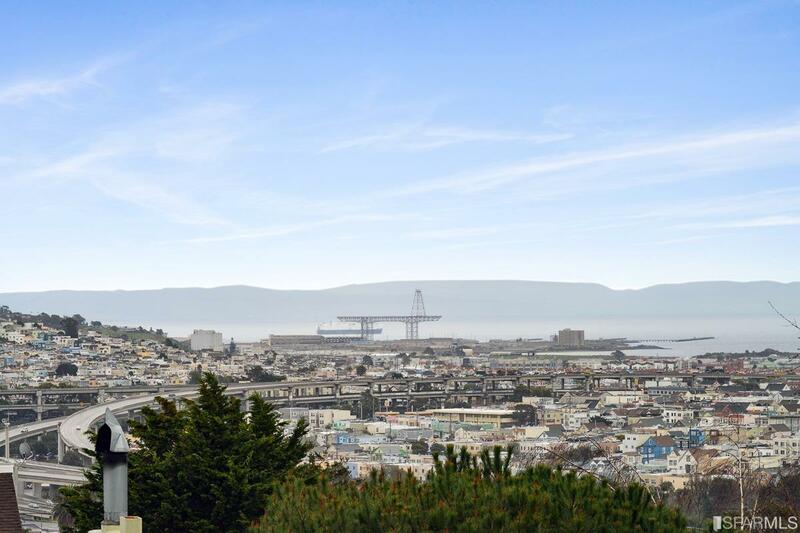 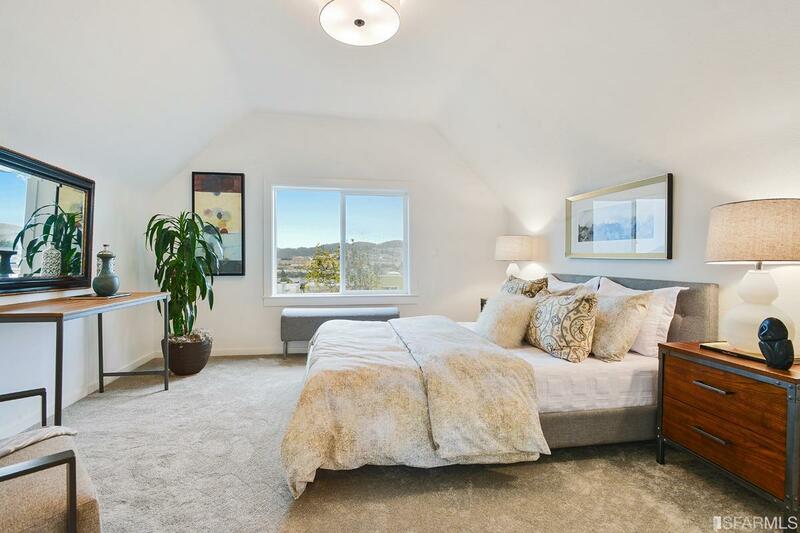 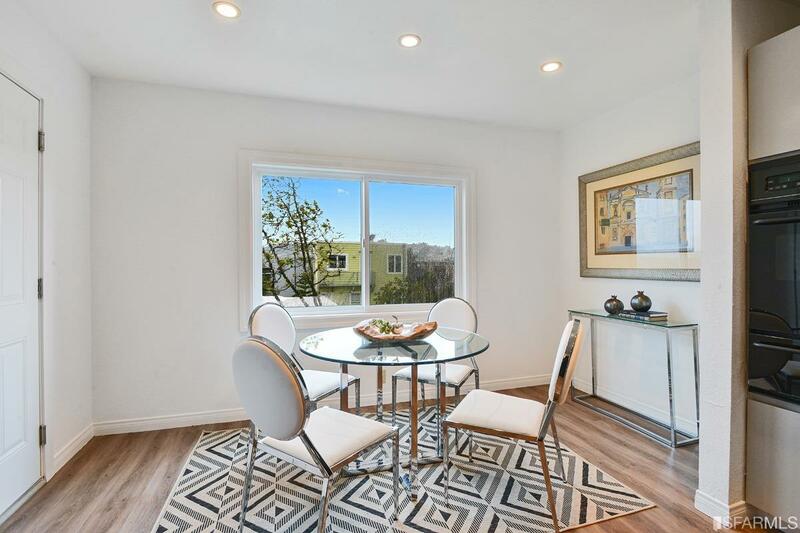 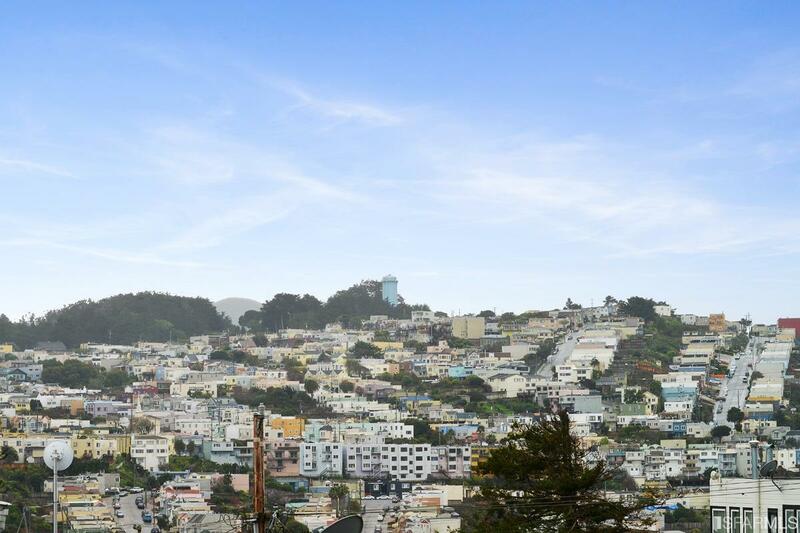 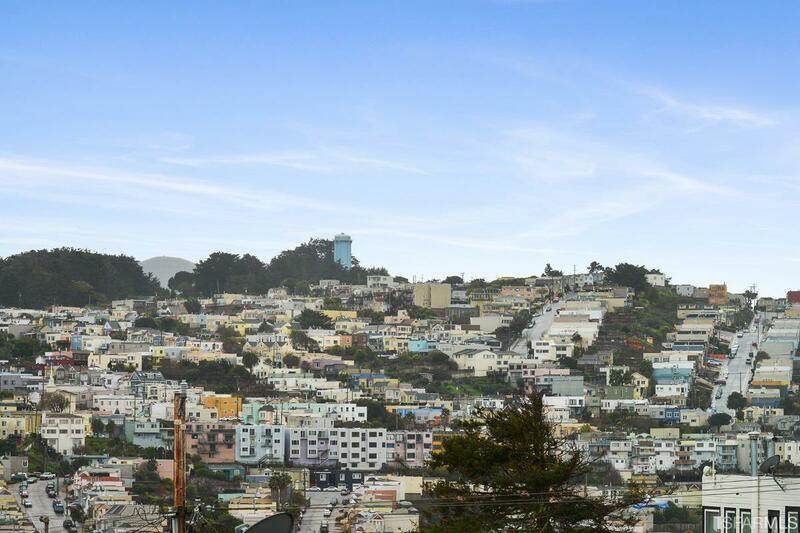 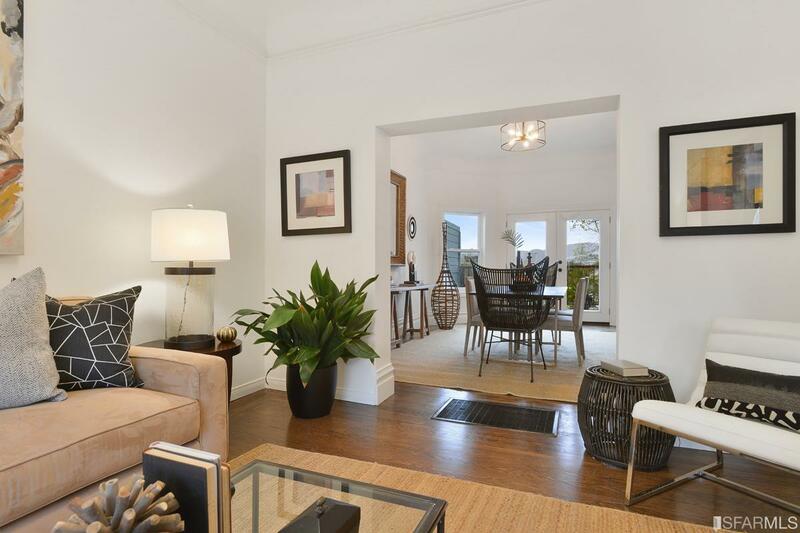 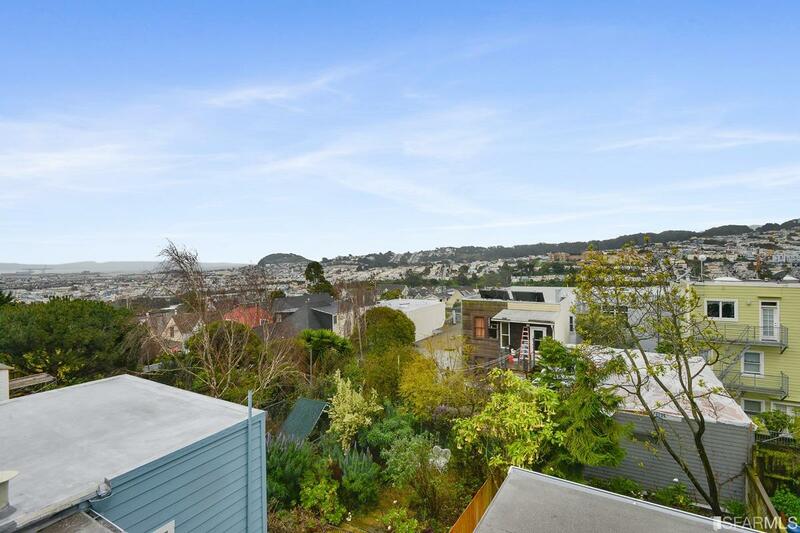 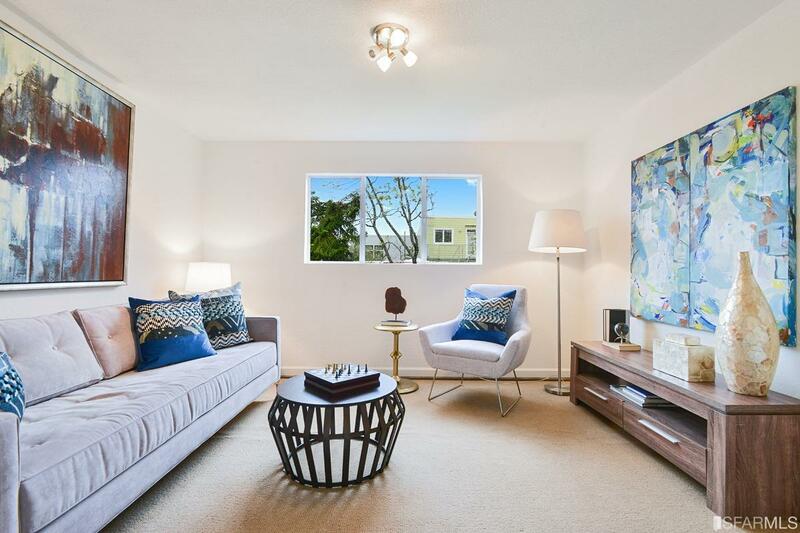 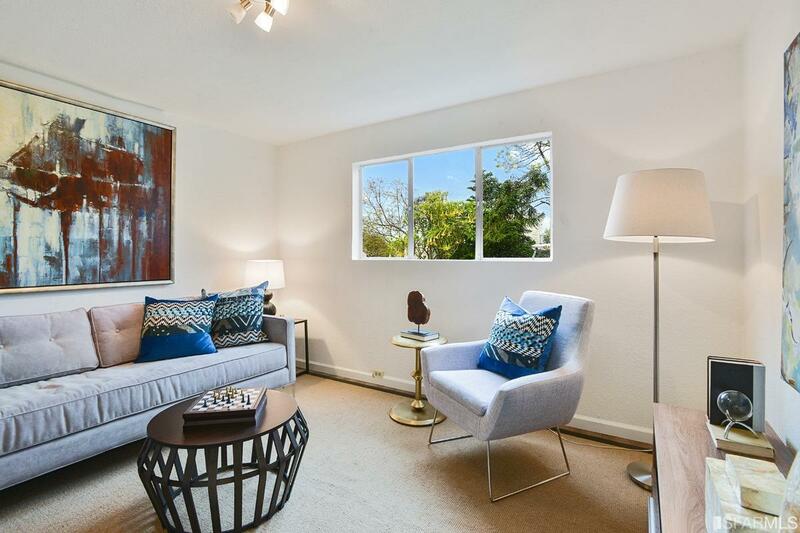 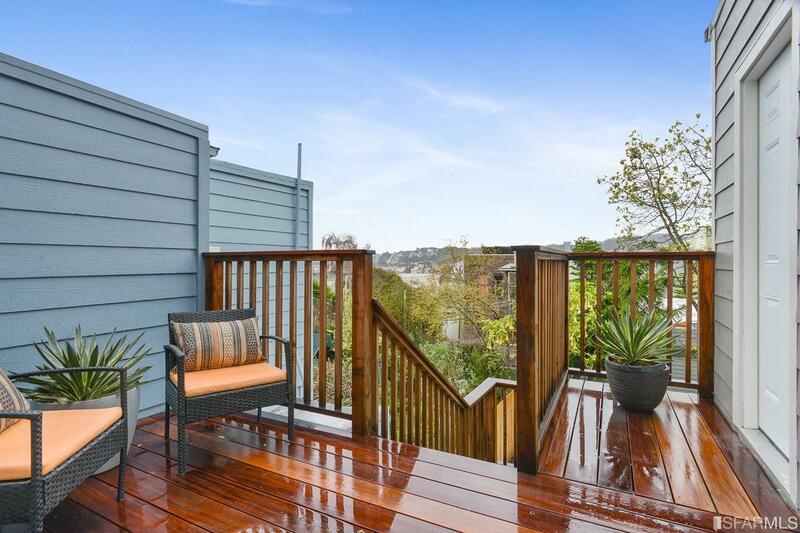 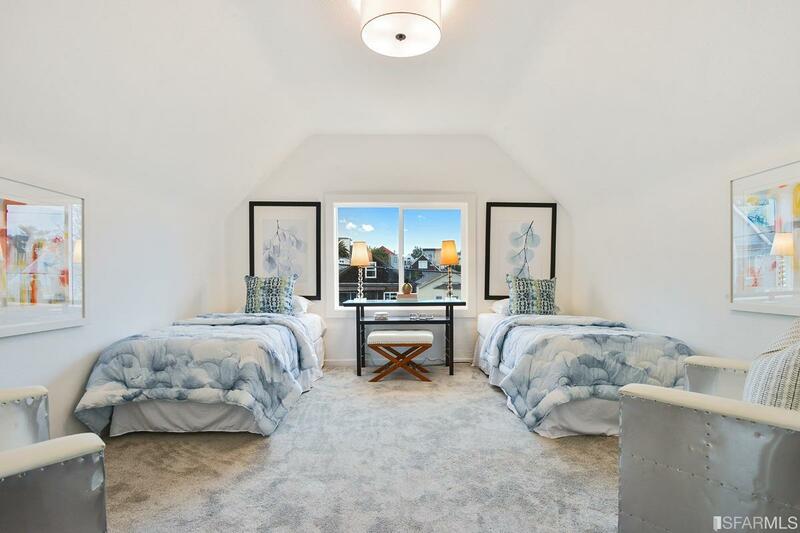 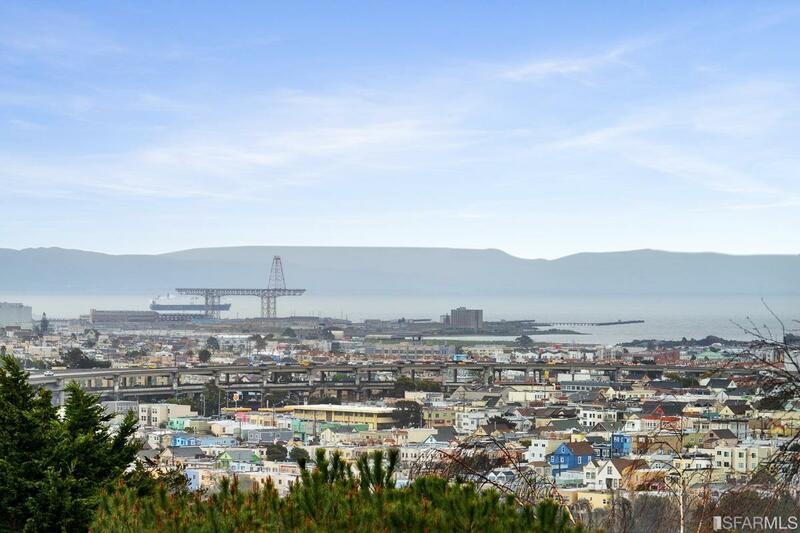 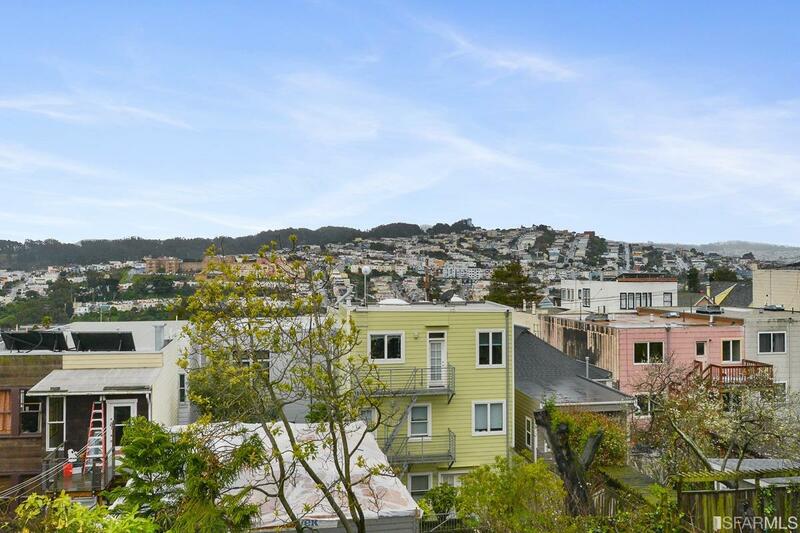 The upper level has two good sized bedrooms, both with views -one looking south with VIEWS of the Bay and the Excelsior hills and the other looking north to Bernal Hill and peek a boo Bay view. 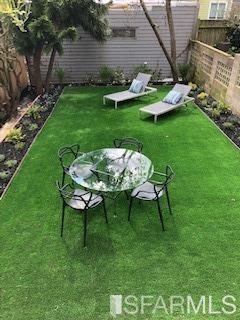 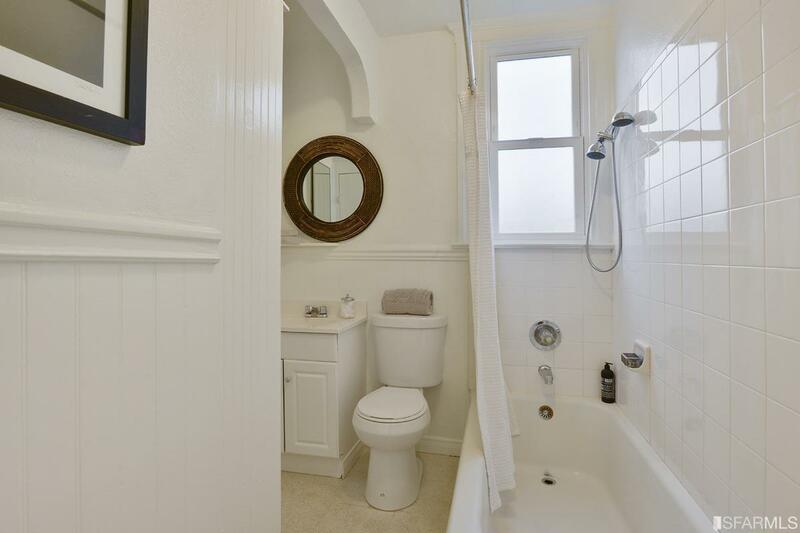 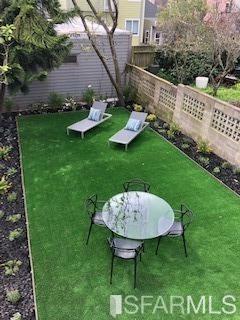 A full bathroom completes this level. 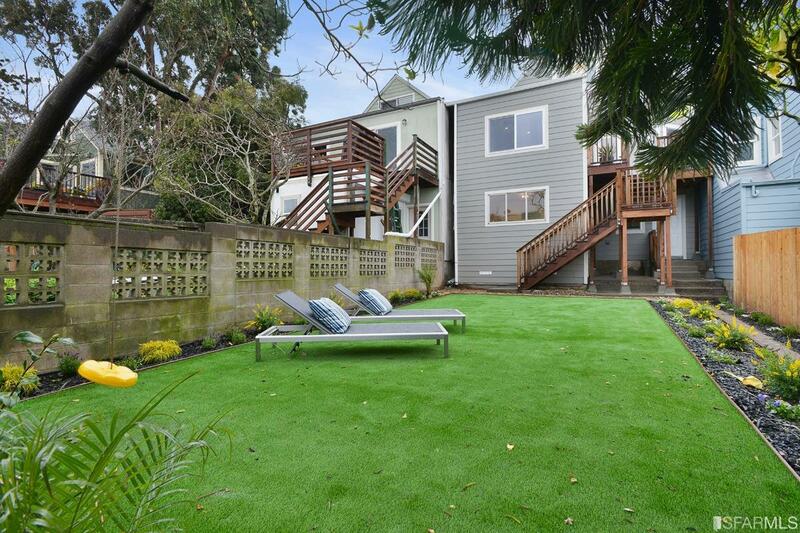 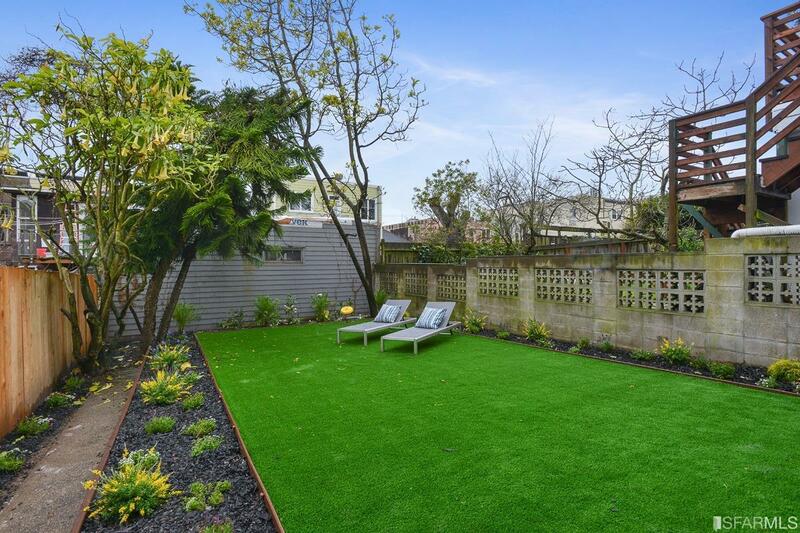 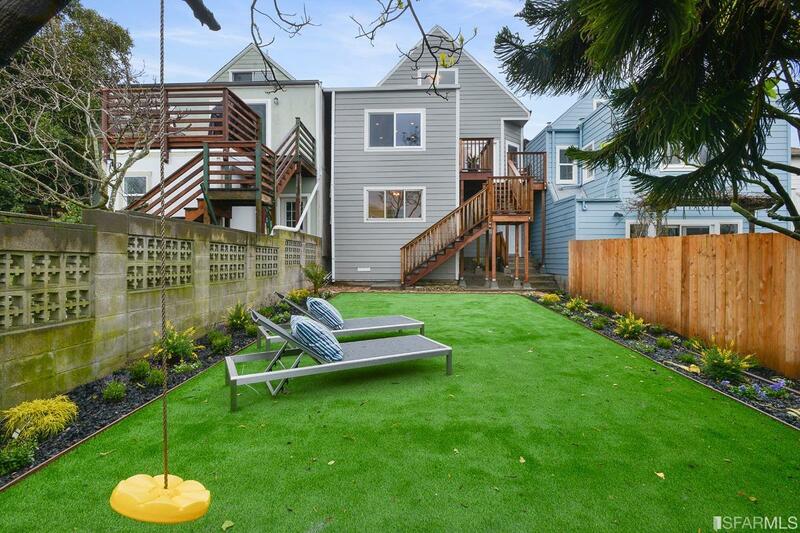 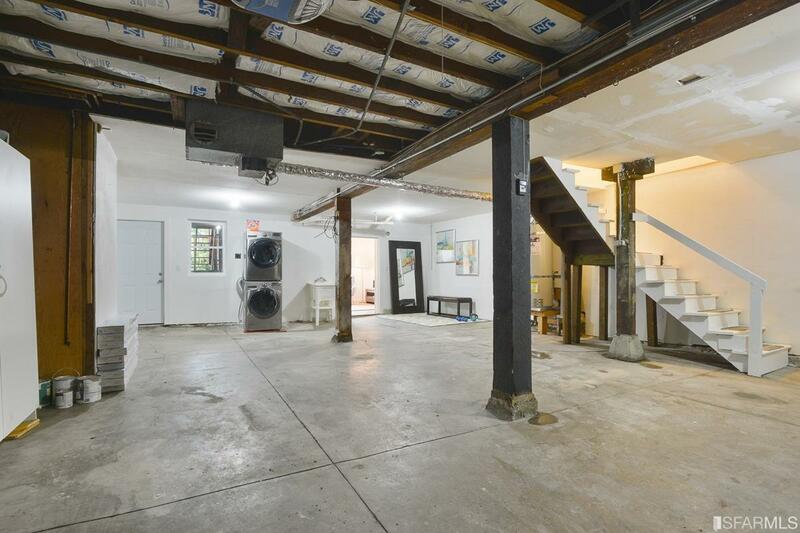 The large level yard is easily accessible from stairs from the upper level deck or from the garage. 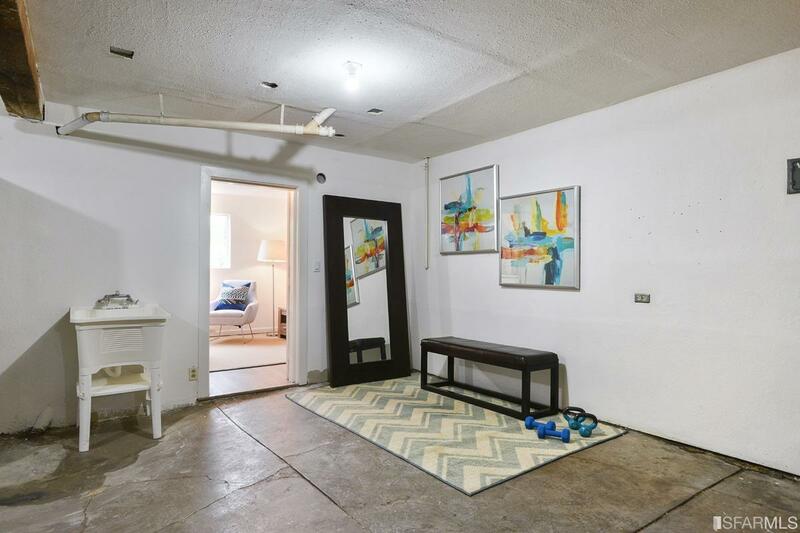 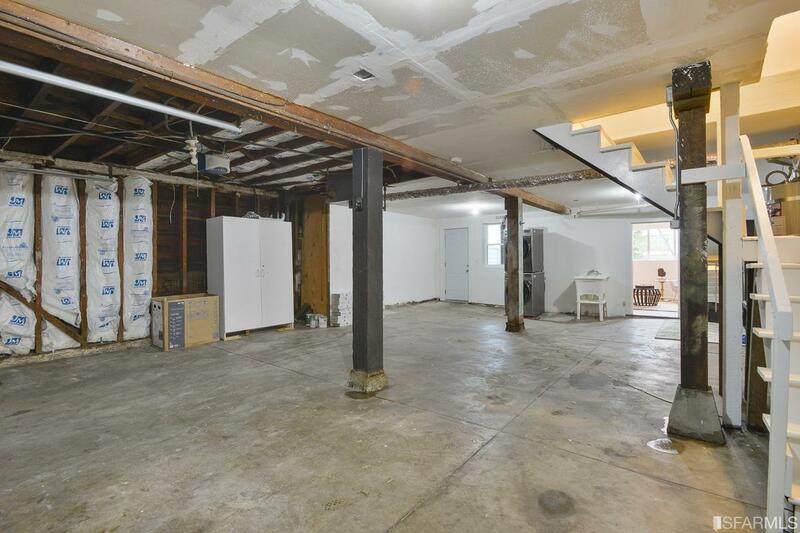 Huge basement offers endless expansion potential, currently has a bonus room, laundry and parking for 2 plus cars. 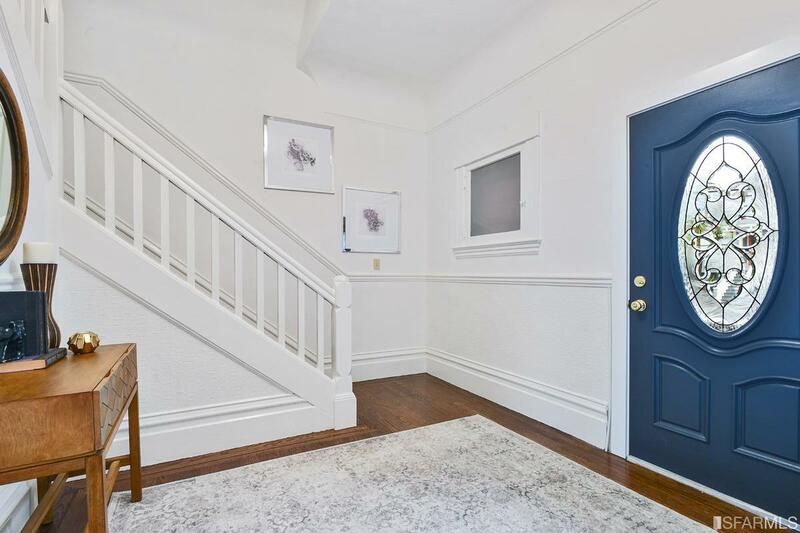 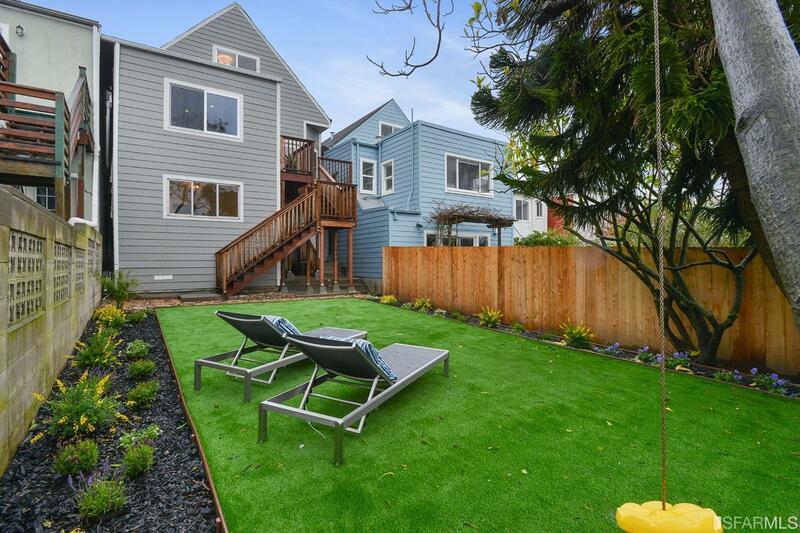 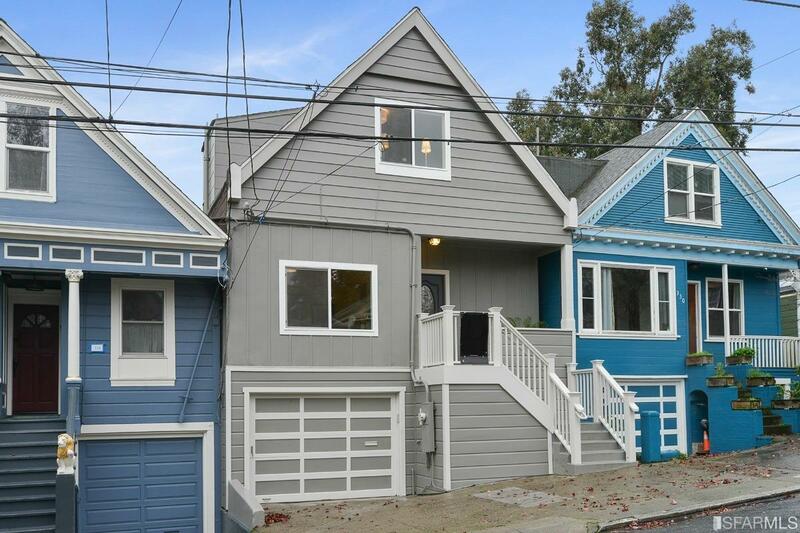 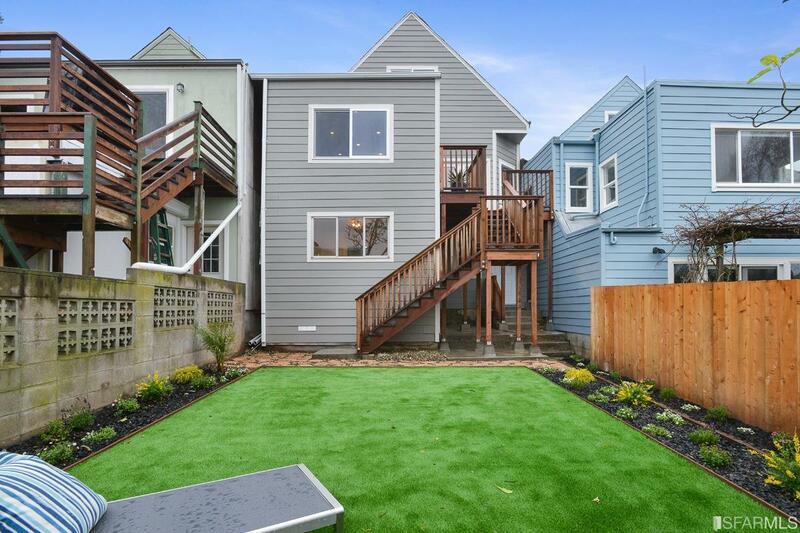 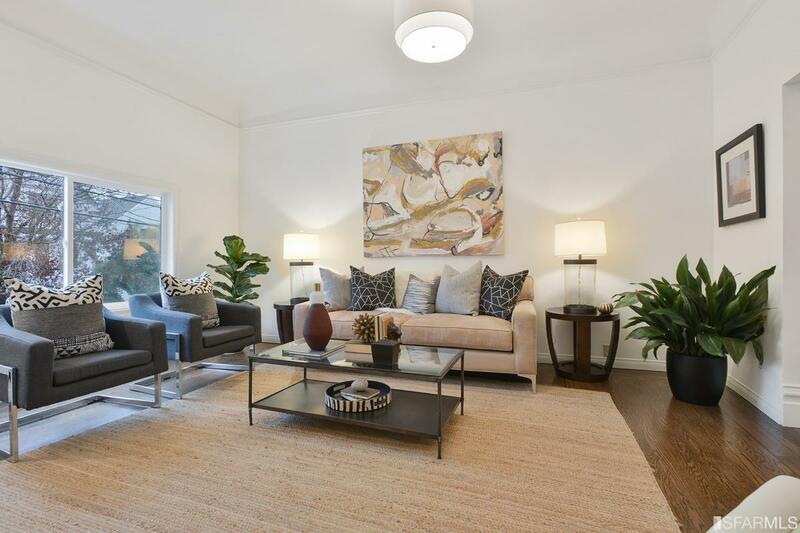 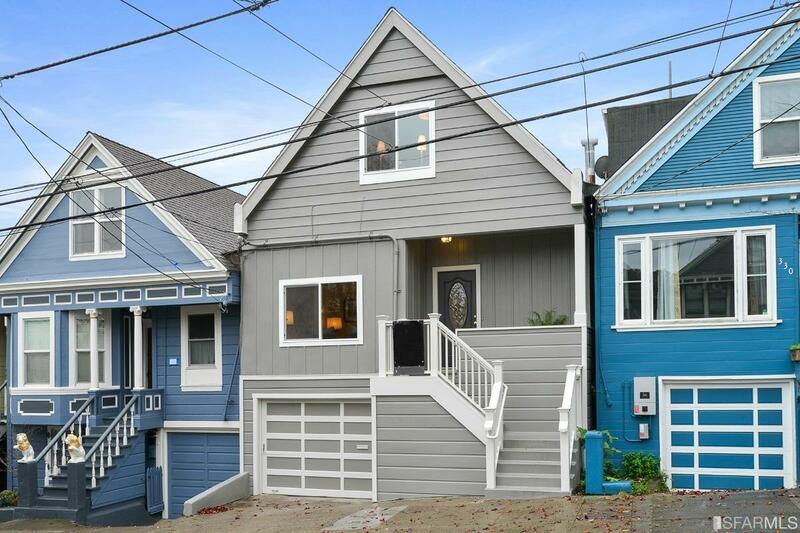 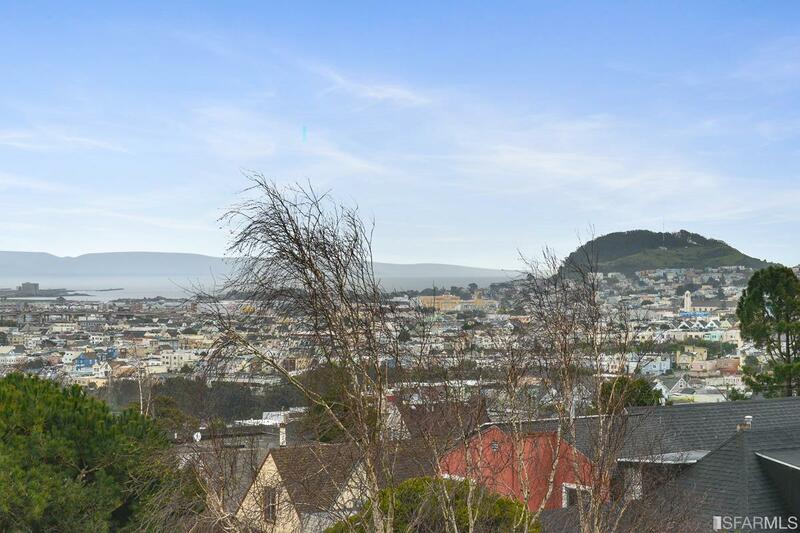 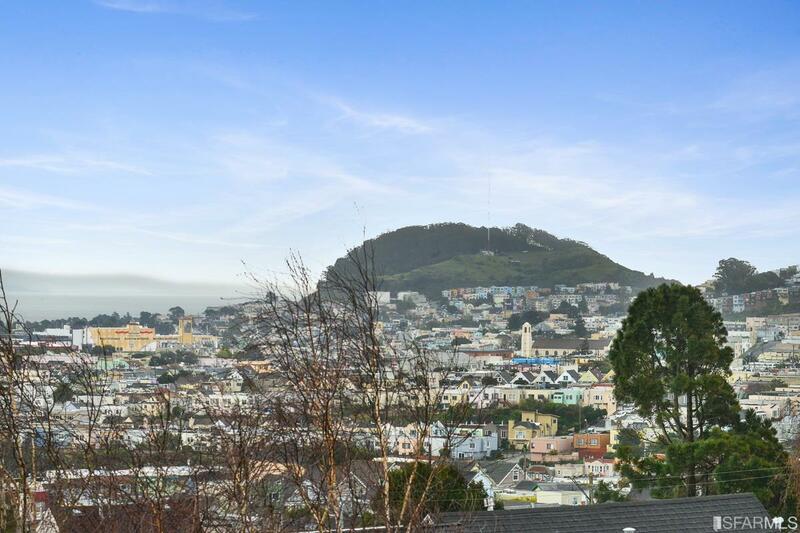 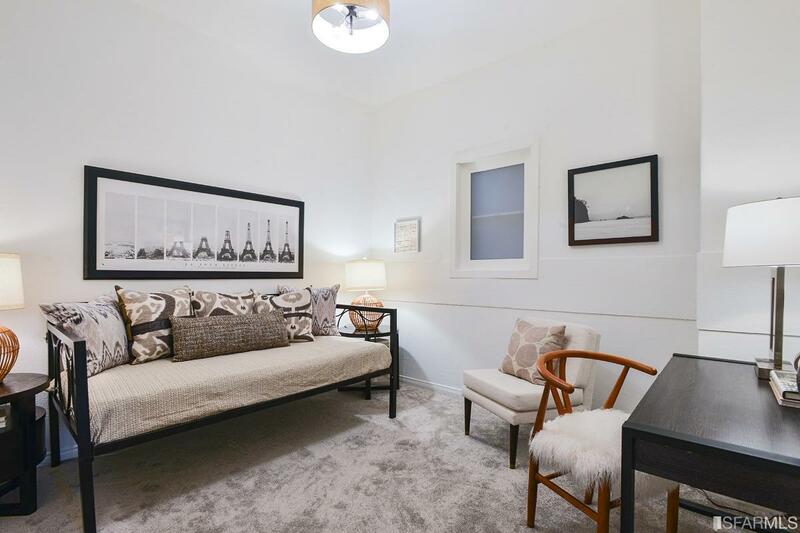 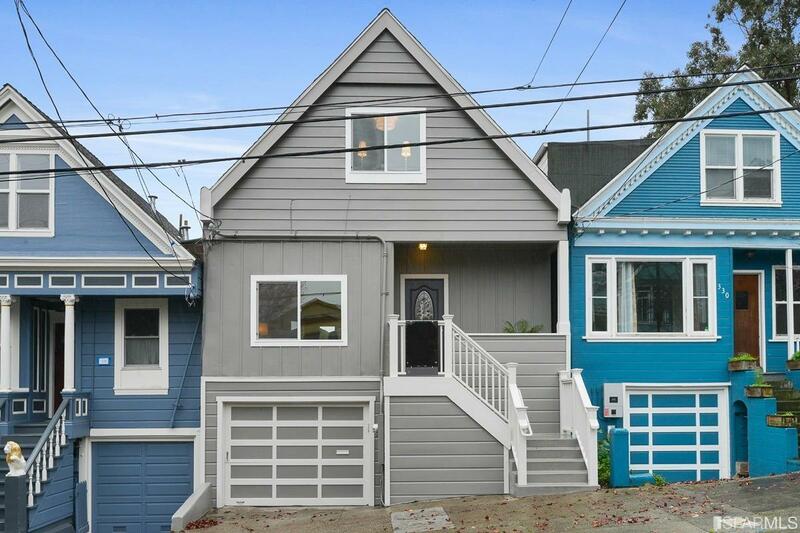 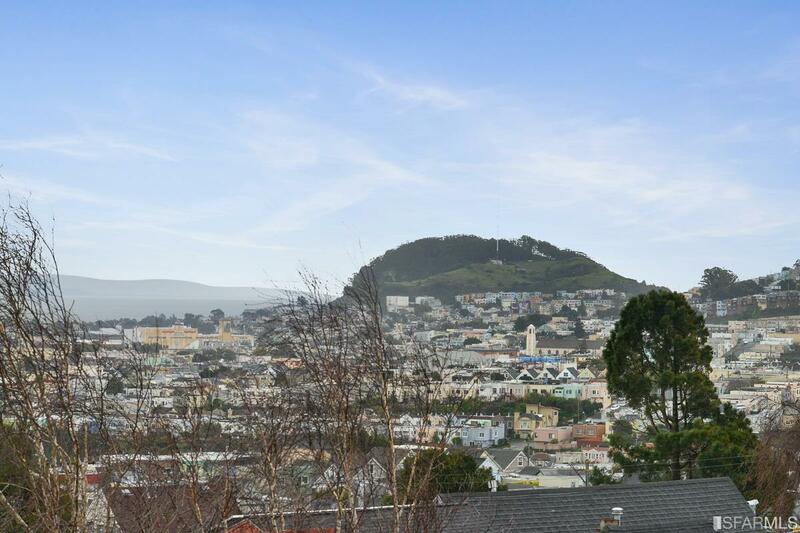 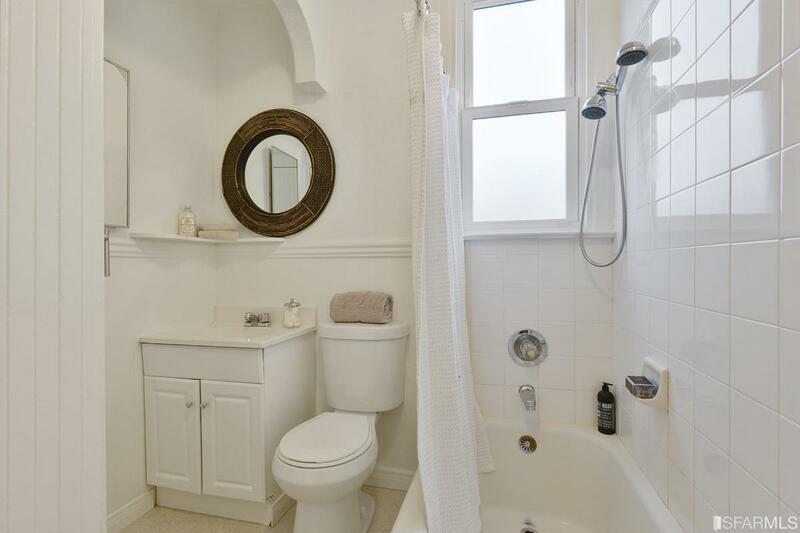 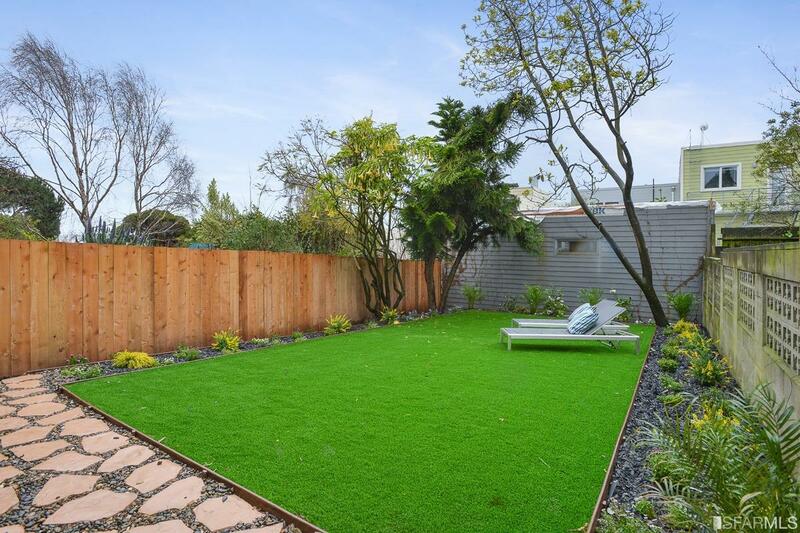 Ideal Bernal location less than a block to Holly Park and a short walk to all that Cortland has to offer.